We often talk about sensitive eyes when referring to light sensitivity. The eyes has mechanisms to restrict the amount of light entering the eyeball. Very bright light can hurt the eyes of any person. Sometimes the eyes are very sensitive to light and what is otherwise considered as a normal brightness can irritate some people. 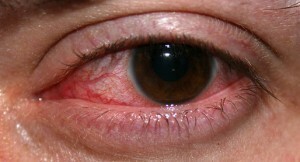 Most causes of eye sensitivity are not serious but a consequence of modern living, like prolonged use of a computer screen. However there are instances where eye sensitivity is an early and sometimes vague symptom of a more serious underlying condition. Most of us refer to light sensitivity as sensitive eyes. Light sensitivity is also known as photophobia. Despite the name, it does not mean that a person is afraid of light in the way other phobias present. Instead the light is considered too bright or hurts the eye and as a result a person tries to shy away from light. A person who is experiencing light sensitivity may prefer being in a dark room, avoids the sunlight or has to wear sunglasses even indoors. Sensitive eyes may also refer to eye pain or tenderness. Sensitivity to light usually arises when there is very bright light in the environment, when the iris at the front of the eyeball cannot limit the amount of light entering the eyeball or when the retina inside the eyeball is abnormally sensitive to the light striking it. Sometimes light is only perceived as being too bright despite the light intensity within the environment being within normal limits, and both the iris and retina functioning normally. The eye has several ways to control the light entering it. Firstly the eyelids can lower or even shut tightly if light is too bright and the eye cannot bear it. However, with varying degrees of tolerable brightness, the iris is largely responsible for controlling light entry into the eye. 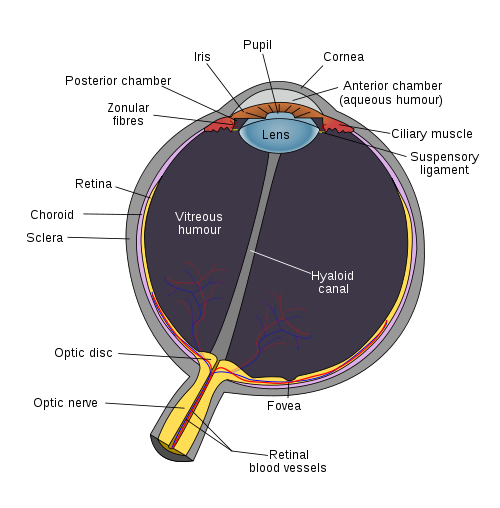 The iris is a diaphragm that can change the size of the pupil in order to alter light entry into the eye. It widens to let in more light when the environmental lighting is dim and narrows in bright light. Once the light passes through the pupils, there are no other mechanisms to reduce its intensity. The eye passes through the front chamber of the eye, then through the lens, across the back chamber of the eye to reach the retina, the light-sensitive tissue of the eye. When light strikes it, nerve impulses are generated which are then relayed to the brain. These signals are then decoded and perceived as vision. Very intense light striking the retina can cause damage to it. It is not just dependent on the intensity but also the duration of exposure. The damage may be thermal, chemical or mechanical in nature depending on the source, brightness and duration. Due to the host of measures present to protect the eye, damage by light is often temporary and there may be no permanent impairment of vision. However, in eye sensitivity there is often no physical threat by the light that irritates the eyes. Sensitive eyes is commonly reported with migraine headaches but this does not mean that migraines causes light sensitivity. Instead the underlying cause of both symptoms may be the same. Some of these causes may not be entirely uncommon. However, given the lifestyle of most people in the modern world, it is not surprising that the more common causes mentioned above need to be the first consideration. Certain eye medication that is overused could also be the cause of eye sensitivity despite being indicated for some eye problems. Confusion, agitation, loss of vision and/or poor coordination are serious accompanying symptoms that need to be investigated further. Light sensitivity that occurs shortly after a car accident, falls, contact sports or assault should be considered a medical emergency particularly if it is worsening over hours or days. As with most symptoms, treatment should be directed at the cause of eye sensitivity. Usually eye sensitivity is temporary and quickly resolves. However, persistent eye sensitivity that is gradually progressing should be investigated as soon as possible as it may the sign of a chronic degenerative eye condition. Lifestyle factors need to first be considered in the treatment and prevention of sensitive eyes as these are the more common causes. Getting sufficient sleep – the eyes need to rest for about 8 hours per day just as other parts of the body. Always use correctly fitting contact lenses that have been prescribed by an eye care professional. 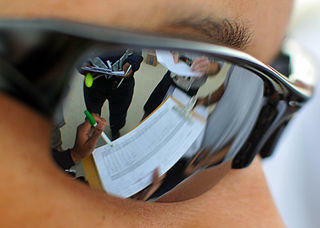 Use sunglasses with sufficient UV protection when outdoors to prevent long term sun damage to the eye. Limit eyestrain particularly from long hours of close work like reading and looking at a computer screen. Take some time to rest the eyes by closing it for short while and lying down in a dark room. While these measures may ease sensitive eyes irrespective of the cause, it should does not mean that proper medical treatment is not necessary. Depending on the cause, treatment may vary between antibiotics and eye drops to surgery to the eye. It is therefore important to have eye sensitivity assessed by a medical professional, especially if it occurs frequently, is persistent or worsening over time.